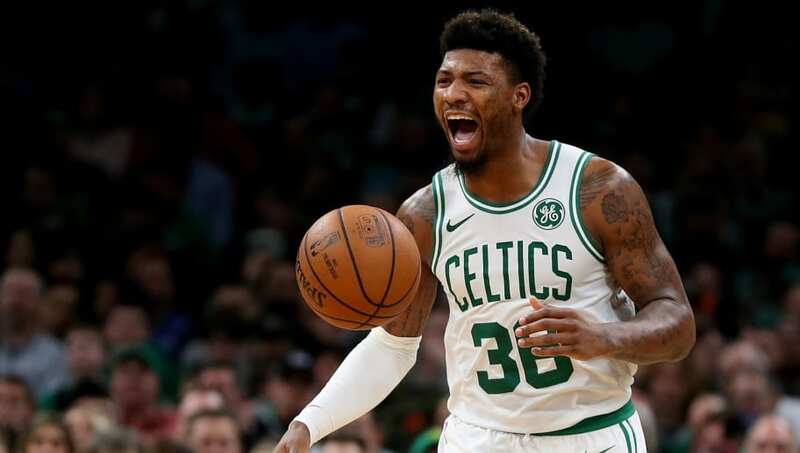 ​Marcus Smart is known for playing physical basketball, but sometimes he takes it too far. The Boston shooting guard has been fined $50,000 by the NBA for ​shoving Joel Embiid in last night's game against the Philadelphia 76ers. Smart was ejected with just over seven minutes remaining in the third quarter after he sent Embiid to the floor with a vicious push. There's no defending him here. Embiid may have thrown a little bit of an elbow, but that doesn't give Smart a free chance at retaliation. He should have just taken the high road. Even with the pent-up frustration of how poorly the players felt the referees officiated the game, there's no excuse for taking it out on the opponent. It's a bad look for the Celtics, and it endangered the safety of one of the league's best players. The Sixers ended up getting the last laugh anyway. After Smart was ejected, ​the Sixers came back to win 118-115. At the time, they were down by 11. The shove was a poor decision all around, and it cost both the Celtics and Smart dearly.